I should realise when I read a Mary Berry recipe that she knows what she is talking about and not ignore her instructions. For some daft reason I thought part of this recipe was wrong but, I was in fact wrong for not paying attention to the expert. 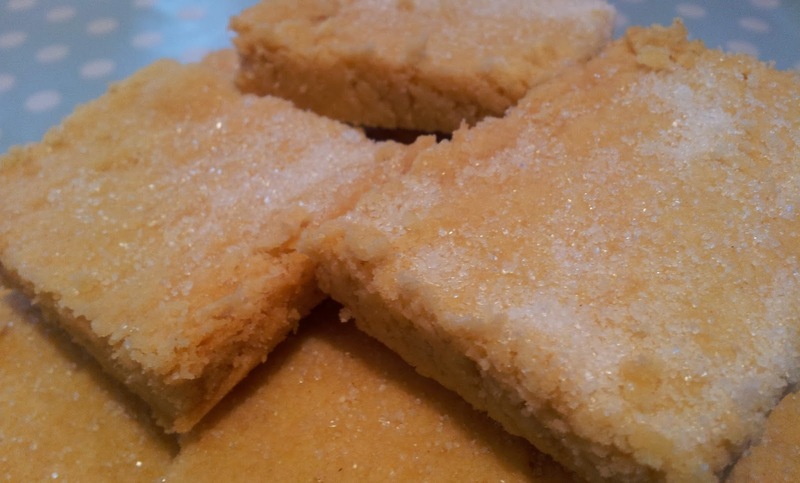 One evening a while back I took a notion for some shortbread. I don't often make biscuits but this was a good opportunity to brush up on my skills on that part of the baking world. 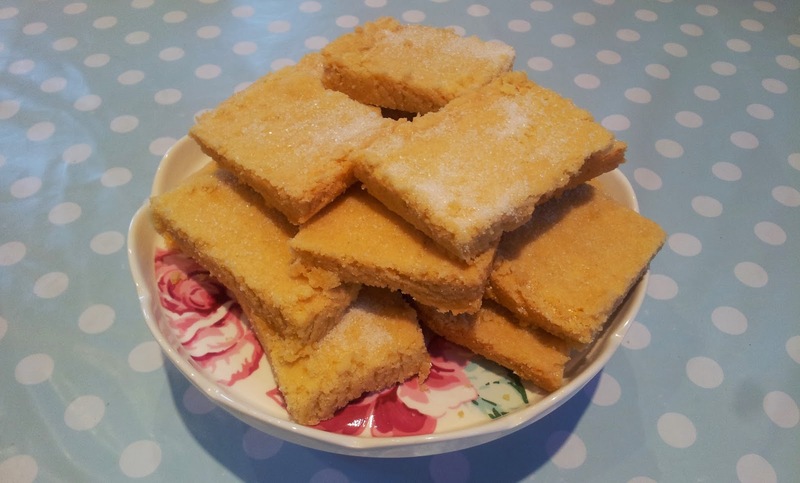 I pulled my Mary Berry Baking Bible down from the shelf and found her shortbread recipe. It was so simple - plain flour, semolina, butter and sugar but as I read the recipe I couldn't figure out why there wasn't a liquid to bind the ingredients together. For some daft reason I thought cold butter was needed and when the recipe said to rub the butter into the dry ingredients I decided to be lazy and get the food processor out. Yes that worked but I was left with a load of crumbs and stood in the kitchen thinking "Mary Berry can't be wrong, why won't this combine?" I thought maybe the liquid had be accidentally left out so I slowly added some milk until it was all combined and baked in the oven as instructed. Well that was a disaster, I didn't bake it for long enough and only realised when I took it out of the tin that it was half raw inside and just didn't taste right. I was baffled cos whenever I use a Mary Berry recipe it always works. I read over the recipe again and realised quite a lot of butter was needed and if it was soft maybe it would combine better. 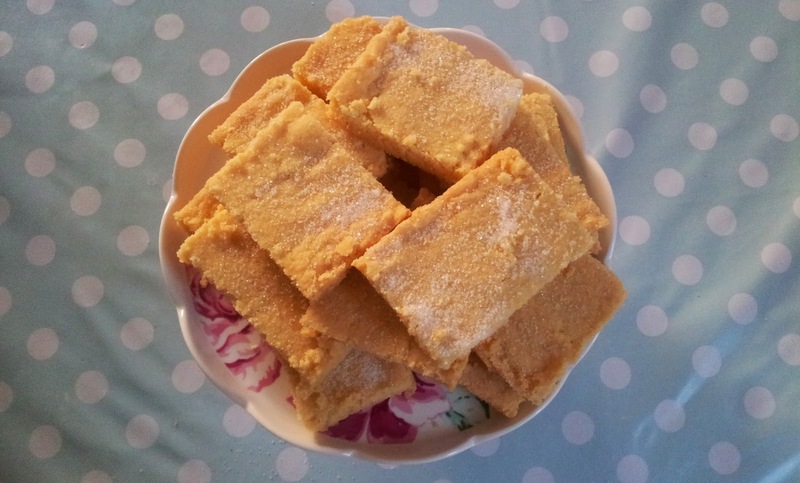 Fast forward a few days and I'm in the kitchen determined to tackle this shortbread recipe. It has 4 ingredients, it cannot beat me! This time I actually left the butter out to soften, followed the instructions properly (apart from it needing an extra 5 mins in my oven) and guess what - it worked perfectly. Lesson learned - always listen to Mary Berry! Mix the flour, sugar and semolina together and rub the butter into the mixture with your fingers until it binds together. Knead lightly until it forms a smooth dough. Bake in the oven for 35-40mins until a pale golden brown. Leave to cool in the tin for a few mins then cut into fingers (or in my case, squares), place on a wire rack and sprinkle with sugar. Once cool I dare you to eat only one!